For the longest time, I've been eyeing SK-II skincare. I mean, who wouldn't? If you know Cate Blanchett, you'd know why. I know you'd probably say but she has good genes (so you mean I don't!?? Hahaha!) and that she's of Australian descent and she grew up in a place with a much better climate than where I grew up and yadah yadah yadah. Fine, but I've seen a lot of good reviews online about this skincare and some of them are also Asians living in a tropical climate. So please don't kill my hopes just yet. I've been on Obagi Nuderm regimen for months but I've been wanting to switch to something that has no hydroquinone in it. Luckily, my skin seems to had enough of breaking out so my only worries to date are the acne marks. Obagi had help me a great deal on that but to be on hydroquinone for a long time isn't good as well. What made me so curious about trying out SK-II, most especially their star product, Facial Treatment Essence is that it has more than 90% Pitera. So what exactly is Pitera? It is derived from yeast that is created during the fermentation of sake. It was discovered years ago that sake producers' hands are soft and youthful, despite their already-wrinkled faces. SK-II's Facial Treatment Essence is a much loved miracle water that gives one a healthy, radiant skin. It also helps maintain the skin's natural renewal cycle to its optimum condition to allow skin nourishment. With constant usage, it balances the skin's PH balance and sebum secretion, therefore balancing one's skin whether it's oily or dry. I've been using the Clear Lotion and the Treatment Essence for a week now and I can say that my skin's loving it. I use them day and night, prior to a skin moisturizer and I never had any breakouts nor any allergic reactions. My skin feels incredibly smooth after each application, I can't keep my hands off my face (but I try!) It looks and feels plump too and though I have had little sleep the night before, my skin doesn't look dull the next day. Surely my skin won't be as great as that of Cate Blanchett's but I have high hopes that my skin will remain as clear and wrinkle-free, if not better, than when I am on Obagi. I've read that the treatment mask works wonders too but I haven't tried it yet. 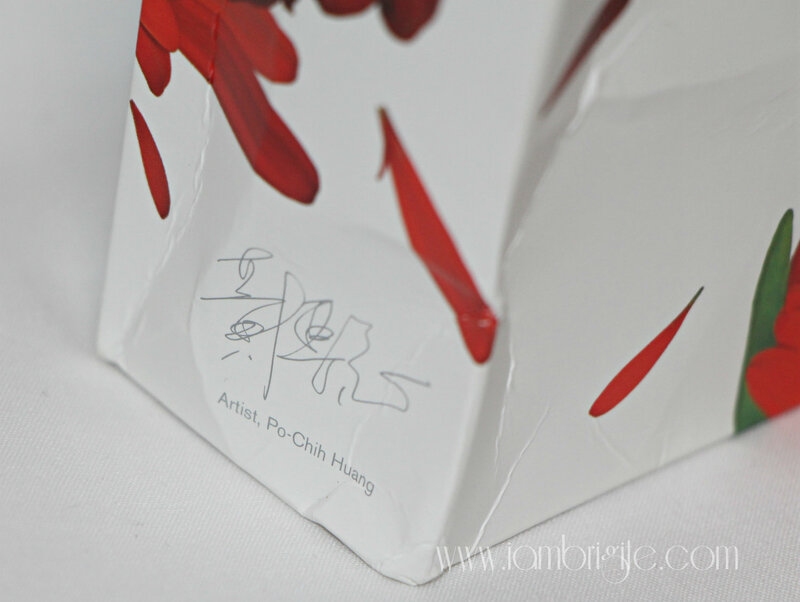 But I will soon and also, I will write a separate post for a review on these products. Aside from the Pitera set, Luxola also sent me another SK-II facial treatment mask and this Rachel K eye cream. I'm almost out of eye cream so this baby came right on time. They also threw in this amazing makeup bag that can fit most of my daily skin essentials. I am running out of the Clear Lotion and my eyes are on other SK-II products like the Cellumination Aura Essence, Whitening Power Spot Specialist and the Stem Power Essence…and yes, another bottle of the Treatment Essence. Uh-oh, danger danger, since these babies don't come cheap. They are expensive yes, but who scrimps on stuff that works? I have tons of makeup already so it's just right to spend more on skincare this time. I know SK-II will make a huge dent on my budget but for the sake of clear, luminous, young-looking skin, I'd be all up for it. So where will I be getting my SK-II stuff? Where else but at Luxola! If you want to give SK-II products a try, check them out at Luxola. They also have a lot of brands available from skincare to makeup to tool and what's even greater is that you can get 30% off if you'd be purchasing from them the first time. How? By using BLX-Brigitte as your promotion code prior to checking out! Take note though that the code is not applicable to some of the brands, but luckily, you can use it on SK-II products. Code is valid until the 25th of December so if you're planning of replenishing your essentials, check them out at Luxola and get them at a cheaper price. And hey, you can even get free shipping, depending on your location. I'll have my stuff delivered in PH, and shipping is free! So what are you waiting for? Shop at Luxola, get your stuff at 30% off and possibly have them shipped for free! Now, that's what I call smart shopping! is this set good for at least 3 months? How long will this set last? 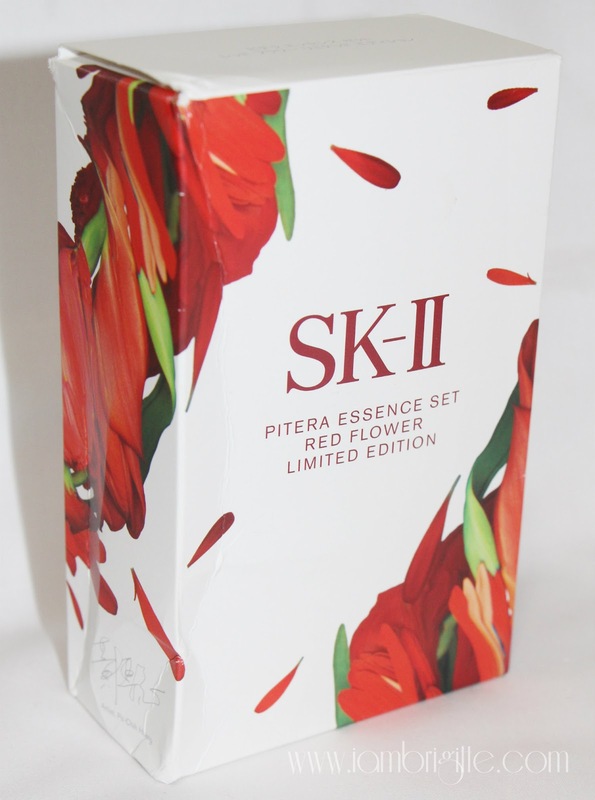 - Pitera Essence set having a Facial Treatment Clear Lotion (30ml).